Bluechocolate Diaries: Determination/ Life in general. 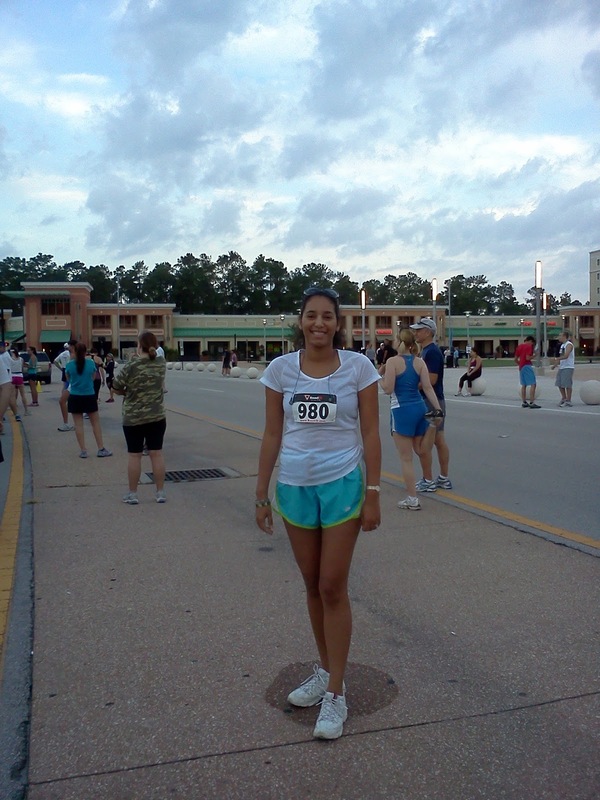 I know I've posted a lot of photos of me at 5k's lately. 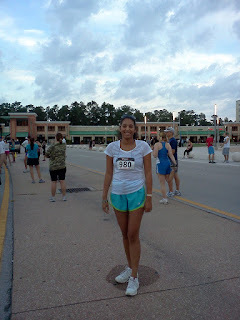 I'm recycling this one because I don't have any of me crossing the finish line. For me, running is determination in motion. I came to this conclusion when I was on the track at the gym when I realized that I ran continuously for 20mins no walk run, just a steady jog (slow as molasses I tell yah) but I did it with a minimal of huffing and puffing. It dawned on me then, what I was seeing was my determination put to motion. In the same way I approached life and writing , it was the same way I approached running. I've had a few bouts of the what ifs with my writing, paralysis brought on by fear. Same goes for everyday life. When I decided to go back out into the work place I took the very first job offered to me because it was safe. I didn't have to face rejection. I enjoyed it, but it payed less and I spent three years in a position that ultimately ended up burning me out. I learned from it and I learned things about myself but I was afraid to jump. It took this new job and reconnecting with old friends and connecting with new ones to remind me that hidden under all that fear was determination that kept me moving ever forward, even when it didn't feel that way. It took a new friend to bring up the subject of the gym and running on a treadmill to lead me eventually to my epiphany. "Running, is my determination in motion." My aunts have always said I'm stubborn. They've always said that I'm strong and I've always countered that with "I just put one foot in front of the other". To me that's just what you do. But you see, it's a lesson I learned from my mother, in fact my entire family. Never stop moving. Never stop striving. Even when life gets in the way. Even when you get knocked down. Keep your determination in motion. I've always believed runners had a different spirit- more determined and dedicated. I admire runners. As a non runner myself, I think what you guys do is amazing. Dancing Branflake, your a runner just a dancing one. The stamina and drive that it takes to do what you do amazes me. And I'm very jealous of your dancer's legs!